This broadside, showing the raising of the 1914 American Association pennant, was displayed in Borchert Field in the 1940s (The photos would of course have been taken in early 1915). Across the top we have the Minneapolis Millers, in their dark road suits, walking the flag onto the field side-by-side with the Brews. Unfortunately, we get a much better look at the Millers' uniforms than the Brewers'. 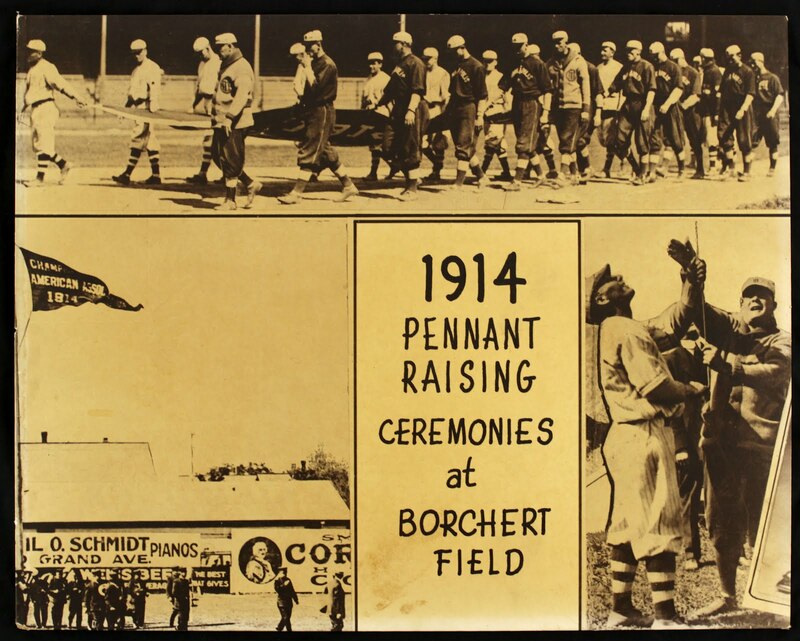 We can tell that this particular photo collage was printed well after the fact for its "Borchert Field" reference - the stadium was known as "Athletic Park" until 1929, when it was re-named for the recently-deceased owner.